The Android Q beta includes a number of flaws, which shouldn’t come as a surprise considering it’s beta software. 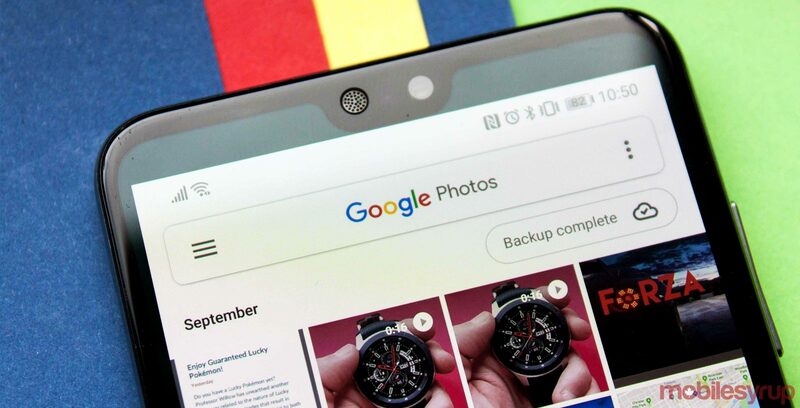 However, Google is working to fix some of the more egregious, like the horrifying things that happen to Google Photos when you enable dark mode. 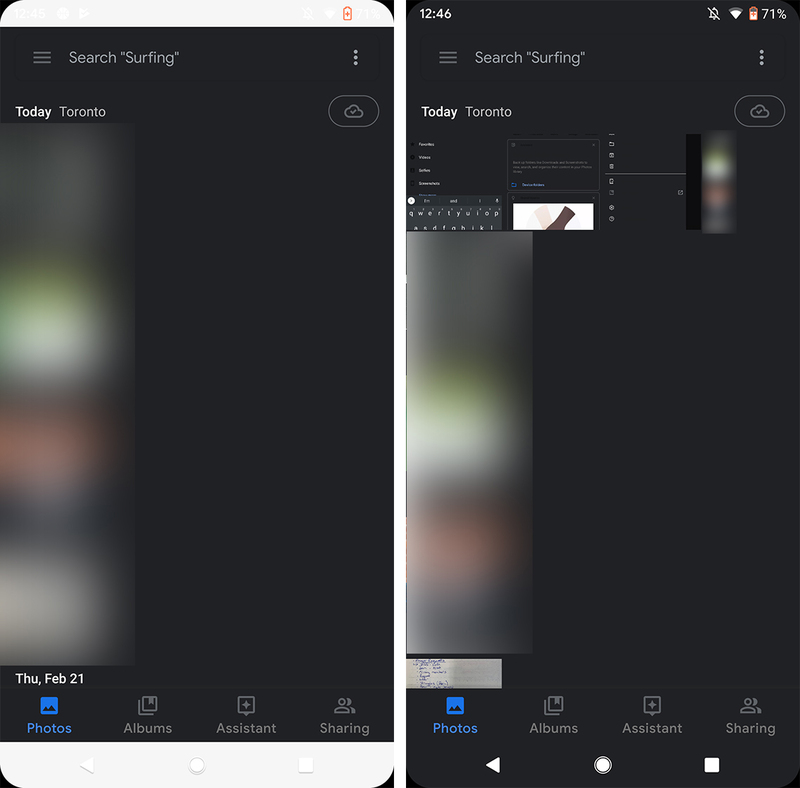 While there was some initial confusion over how to turn on the dark mode — which was promptly sorted out — those who managed to turn it on realized it was far from ready. Some apps don’t work with dark mode at all, while others were a mix of both light and dark. Google Photos fell into the latter category. If you listened to the most recent SyrupCast, MobileSyrup features editor Igor Bonifacic, and I discussed the abomination Photos becomes when you turn on dark mode. For those that missed it, the status bar and navigation bar remained white, the text remained black (making it impossible to read) and more. However, a recent app update seems to clean up most of the mess. 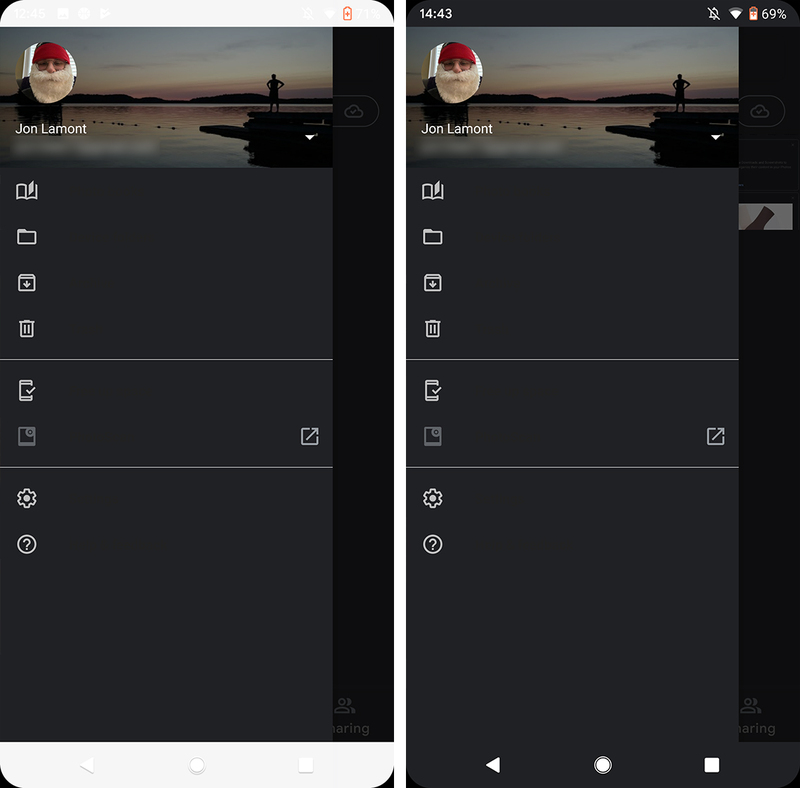 Google Photos version 4.12.0.238634345 gets rid of most of the leftover white, so all of the app’s interface is in dark mode. Additionally, it fixes the overflow menu. Unfortunately, it doesn’t solve every issue. Some areas of the app, such as the hamburger menu, either don’t have text or the text colour makes it impossible to see. It’s also worth noting not all the fixes populate at once. After ensuring I was on the right version of the app, Photos continued to show white status and navigation bars. The other fixes were present, however. After taking a few screenshots, everything went dark. Further, opening the keyboard seemed to bring back the white status bar for me. 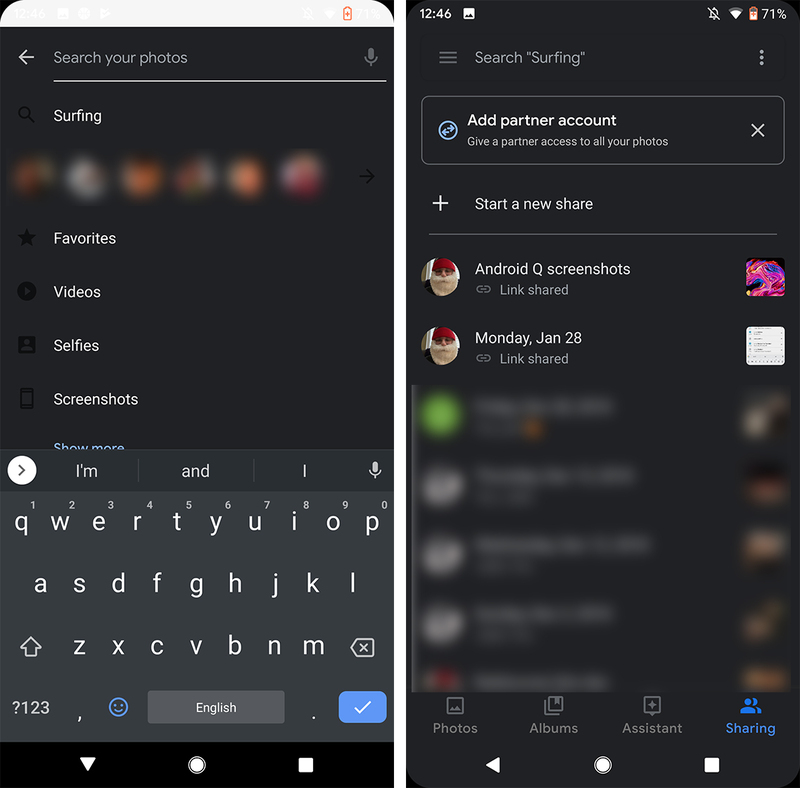 Overall, it’s a good step forward, but Google still needs to do a lot of work to get dark mode ready for the official Q release later this year.